Who Can Move to Canada? Which Immigrants to Canada Are More Able To Remain? Should I Move To Canada? Canada is a nation that happily accepts immigrants from all around the world and for all purposes. 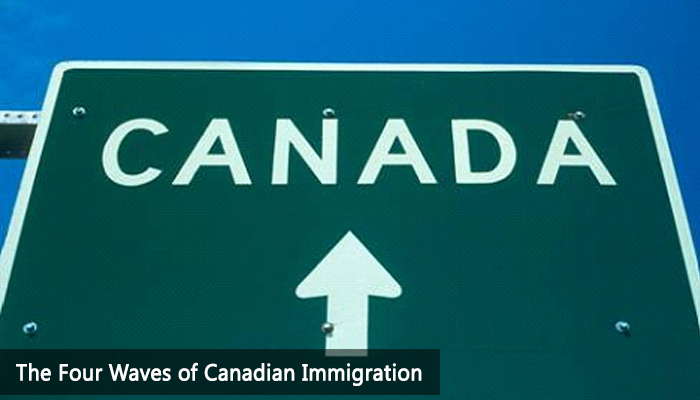 There are four different immigration options for those looking to immigrate to Canada, and understanding these four immigration waves is the best chance anyone has, to ensure that they can get access to a Canadian future. Students, Skilled Workers, Spouses and Refugee visa holders are all able to immigrate to Canada, for the chance to build a new life for themselves and their families. Therefore, the four waves of Canadian immigration potential provide a significant growth spot for the nation to enhance its diversity by embracing more immigrants from different nations. As with many other nations, there is no stipulation in Canada about which countries, immigrants can hail from. The point of having an immigration process that allows for citizens of other nations to move to Canada is to embrace diversity and to encourage a sharing of ideas amongst nations. The proportion of a given group of immigrants may be allowed in the country, based on slightly different protocols depending on the current status of immigrants into the country. So, if there are more students than can be accommodated in the country’s university system, less immigrant students may be allowed in. The same can be said for skilled workers if the proportion is off throughout the nation on the whole. But with three other options for immigration, there will surely be one immigration type that will work for your circumstances. The quality of life in Canada is exceptional, and any immigrants coming from any number of nations would be well-suited to look at the life that a move to Canada could provide for them. The life that can be laid before you and your family in Canada is truly momentous. Your children can attend some of the best universities in the world, and you and your spouse can look forward to the opportunity to see new career options that would possibly not be feasible in your home country. Making the decision to move to a new country is not easy. However, it is a decision that can change one’s life for the better. This means that it is an option that should always be considered when possible. Be one of the four groups of immigrants welcomed into Canada, and see how you can build a new life for yourself and your family. For more immigration updates follow us on Facebook, Google+ and LinkedIn. Previous PostAmerica is not an End for You! How much is the Canada Visa process visa ? I like to know your consultant address because i am interested to apply for Canada visa with your guide- lance and help.